Asus announces the Mining RX 470 and P106 graphics cards, specifically designed for cryptocurrency mining, The cards should increse mining efficiency by up to 36%. Mid-range GPUs are very sought after these days as they prove to be very efficient at mining cryptocoins. 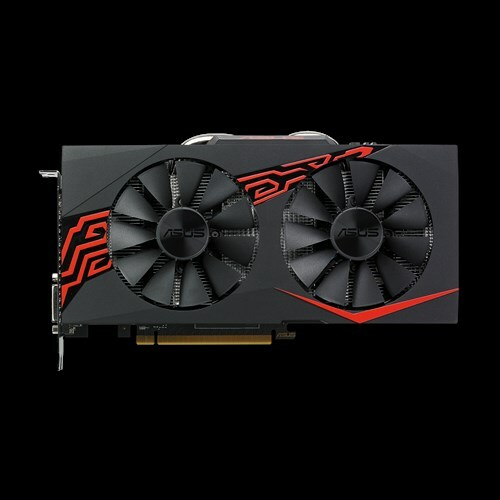 Prices have spiked for AMDs RX570/580 and Nvidia's GTX 1060/1070 models and gamers are really concerned about the situation as these models come in very limited stocks due to massive buyouts from crypto enthusiasts that especially mine Ethereum, Dash and Monero. Asus saw the potential for crypto mining and now introduces its Mining series, featuring the Mining RX 470 and Mining P106 models. Both cards are designed to squeeze the maximum performance out of the GPUs and provide 24/7 reliability and efficiency. The Mining RX 470 is obviously based on AMD's Radeon RX 470 (4 GB VRAM), while The P106 is a customized variant of Nvidia's GeForce GTX 1060, which is supposed to increase the default megahashrate by up to 36%. Both models include advanced GPU Tweak tools that allow for quick voltage and clock modifications to further improve the mining efficiency. What sets these mining models apart are the new Super Alloy Power II components and improved coolers featuring dual ball-bearing mechanisms and a dust-resistance certificate that should double the fan lifespan and provide less noise. No pricing information has been mentioned as of yet, but the cards should be available in China and Eastern Europe starting next month.